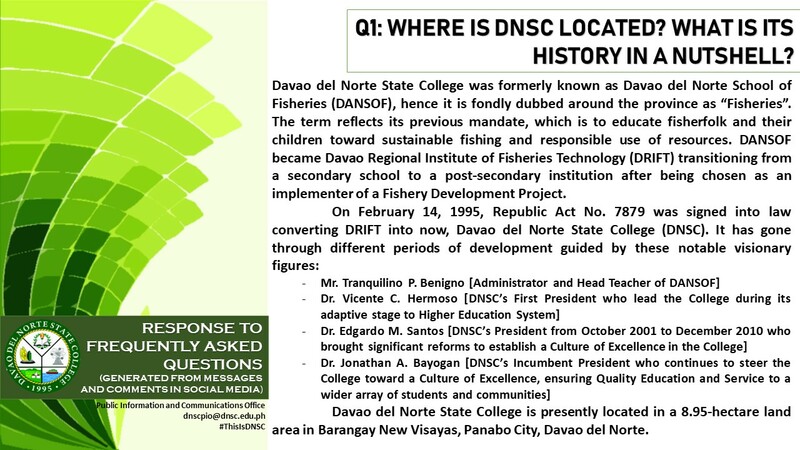 Where is DNSC located?  What is its history in a nutshell? 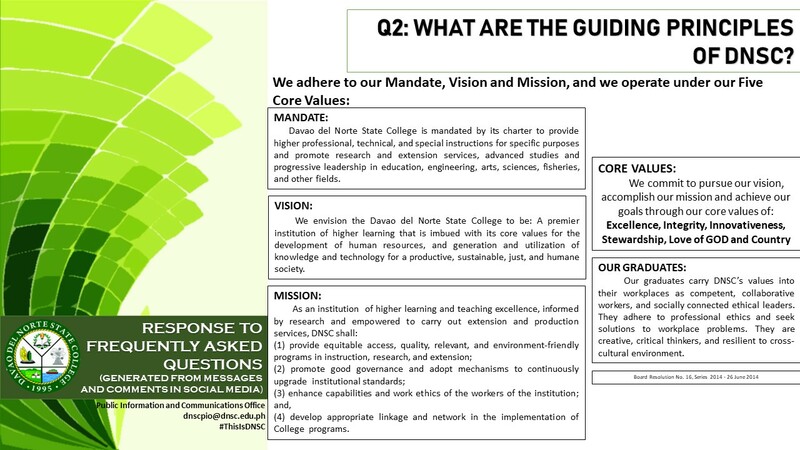 What are the guiding principle of DNSC? 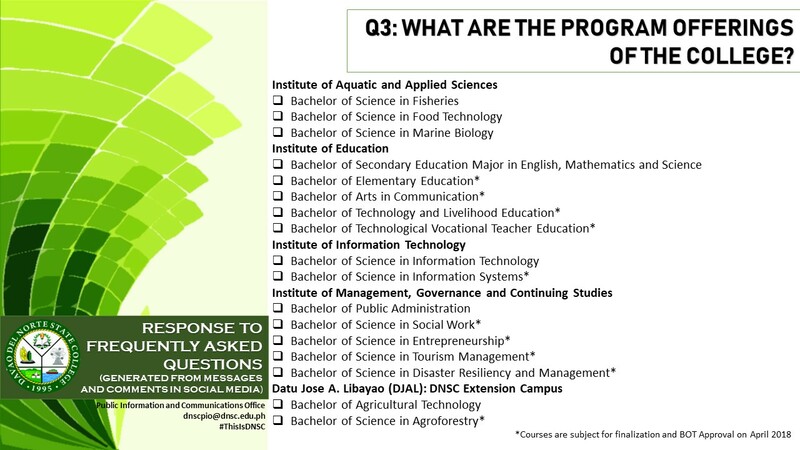 What are the programs offerings of the college? 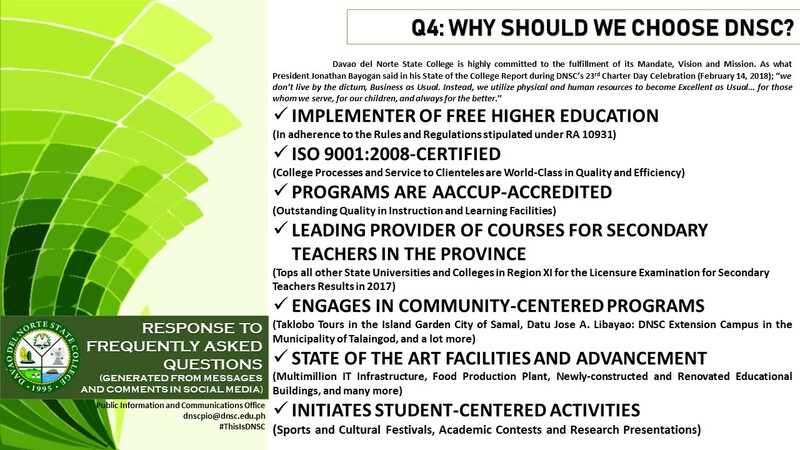 Why should we choose DNSC? 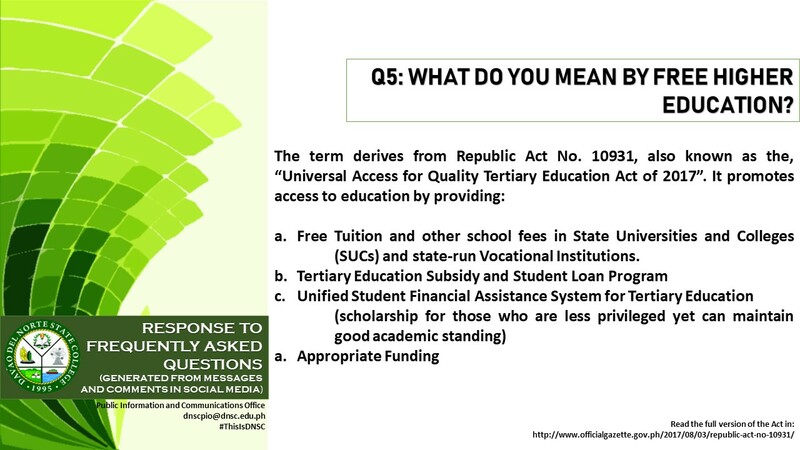 What do you mean by free Higher Education? 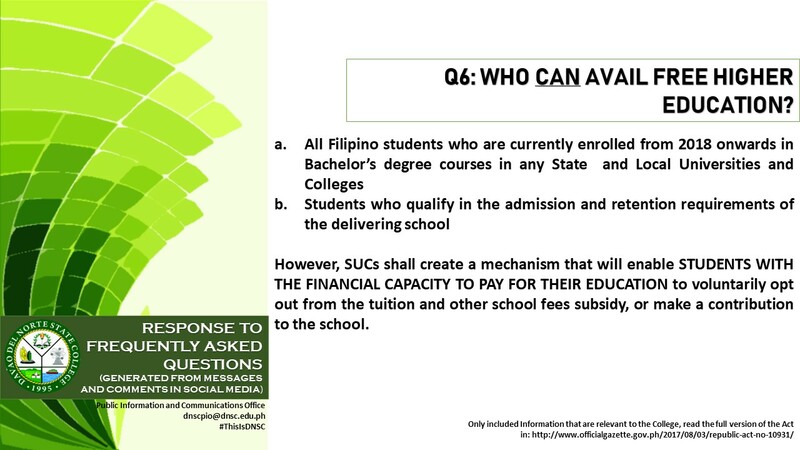 Who can avail free Higher Education? 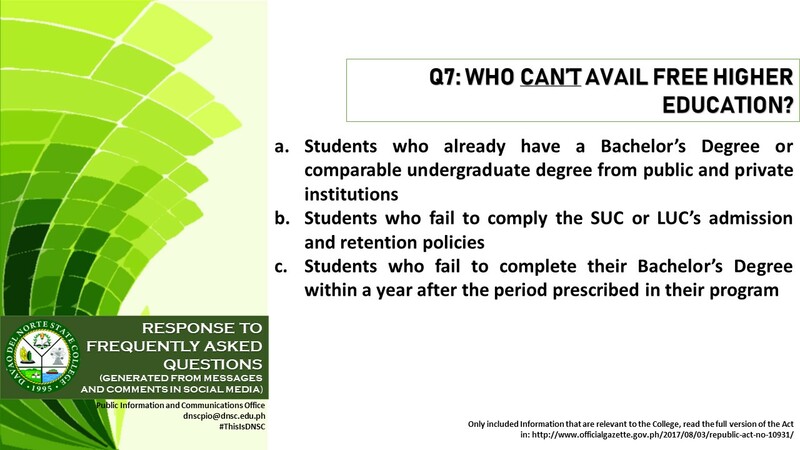 Who can’t avail free Higher Education? 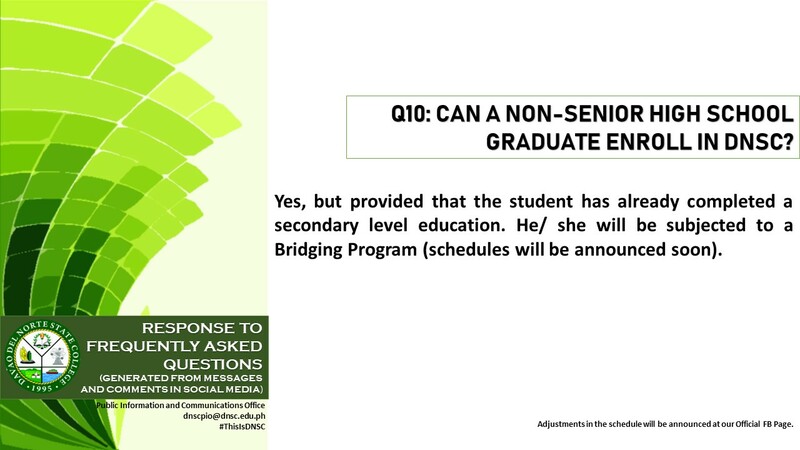 What are the admission requirements of the College? 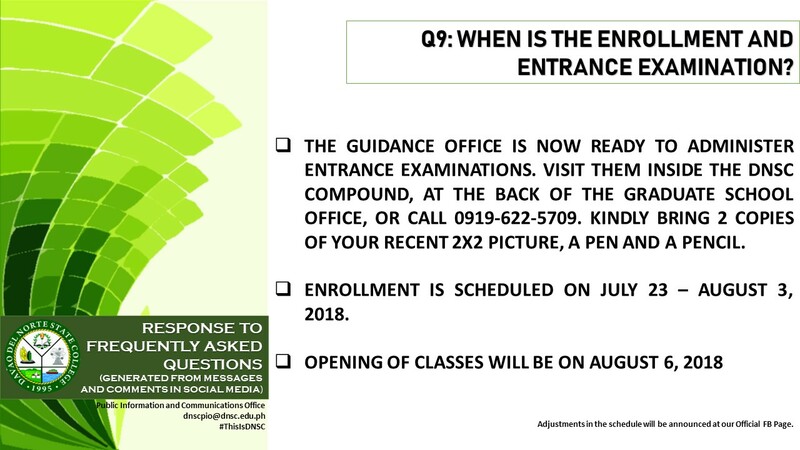 When is the enrollment and entrance examination? 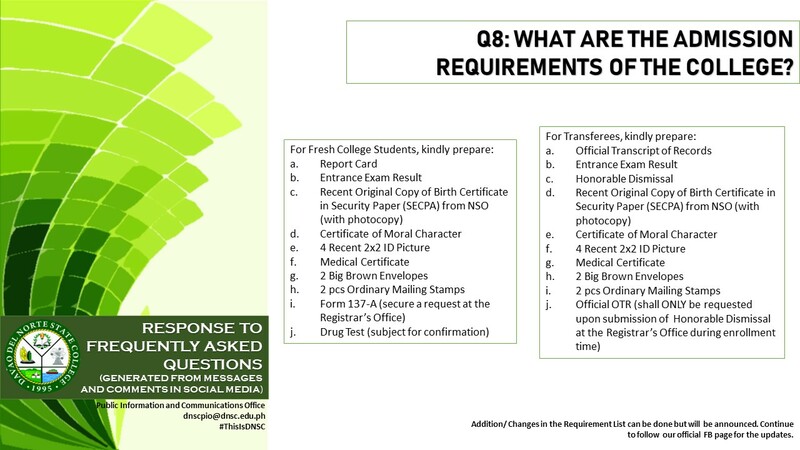 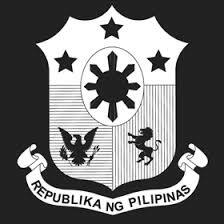 Can a non-senior high school graduate enroll in DNSC?